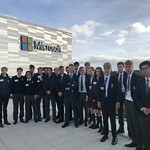 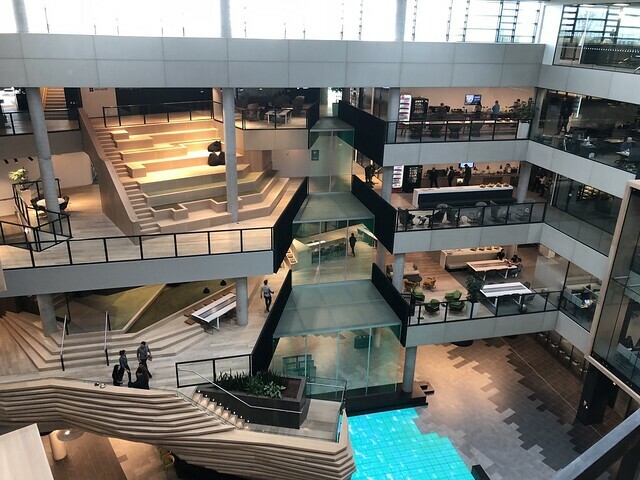 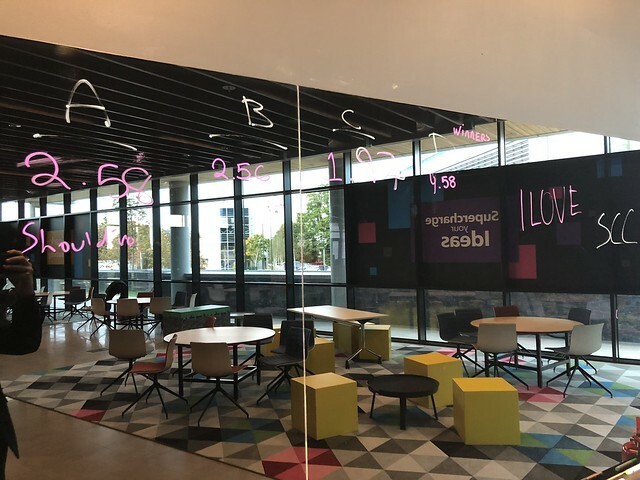 On Tuesday twenty Transition Year pupils visited Microsoft Ireland’s newest building, One Microsoft Place, to explore their ‘Dreamspace’ – a wonderful space for young people to learn more about technology. 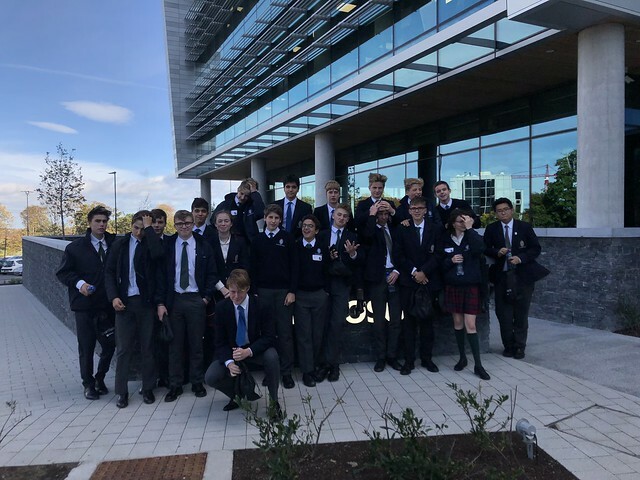 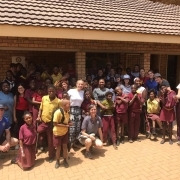 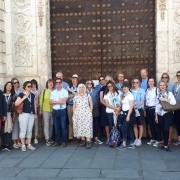 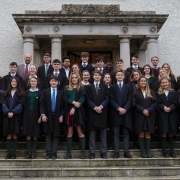 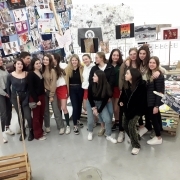 On arrival, the pupils were given a tour of the amazing award winning building, where some of the highlights include the yoga cube, the wellness centre, the amazing “mountain” stairs, the roof garden and the LED waterfall. 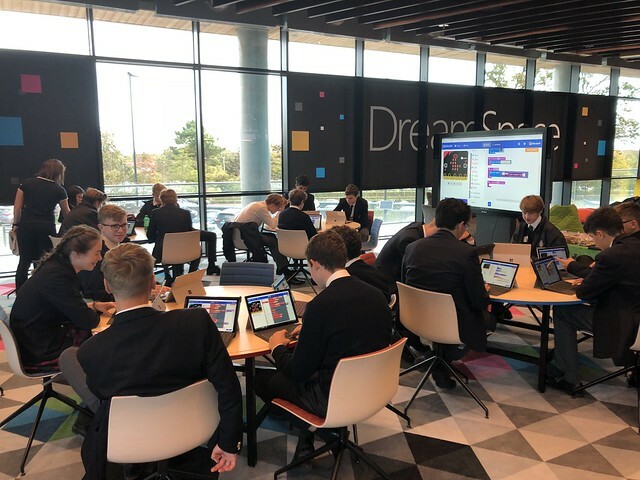 After the tour they settled into the amazing Dreamspace – a vibrant learning environment – discussing Microsoft’s contribution to technology in their lives before exploring their latest innovations in assisted technology for those with disabilities. 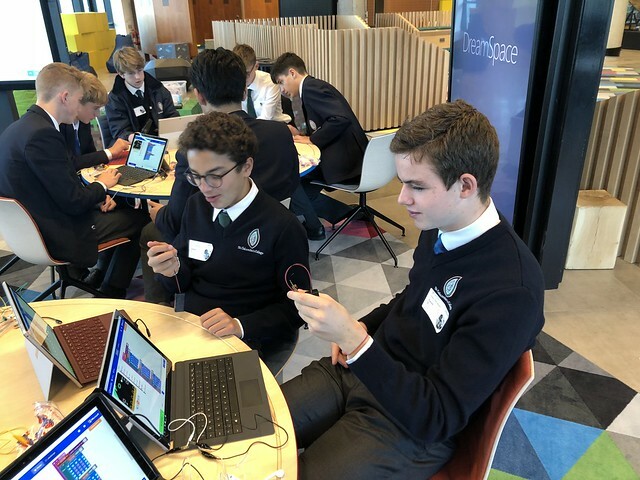 The learned about the skills needed to thrive in STEM careers, with a focus on development of soft skills. 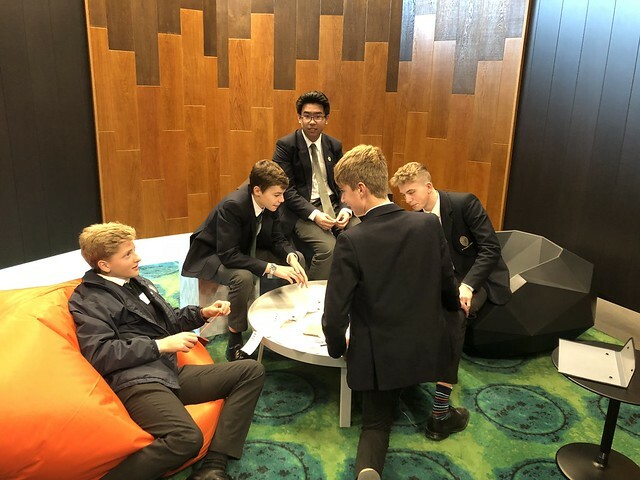 Then their first challenge – a team building / problem solving task – the Marble Track. 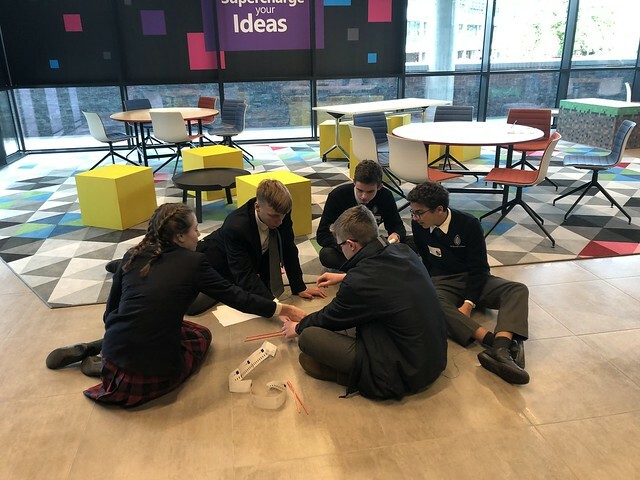 With a few assorted household items, each team had to create a track for a marble to travel before settling within a small square of graph paper. There were no rules except that is couldn’t be pushed and had to stop on the graph paper. 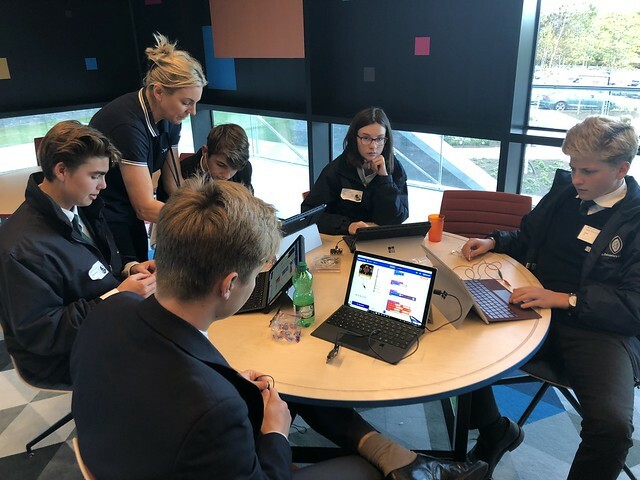 Each team took a different approach (there was some astounding creativity on show) but all ended successfully completing the task (one team broke the record). 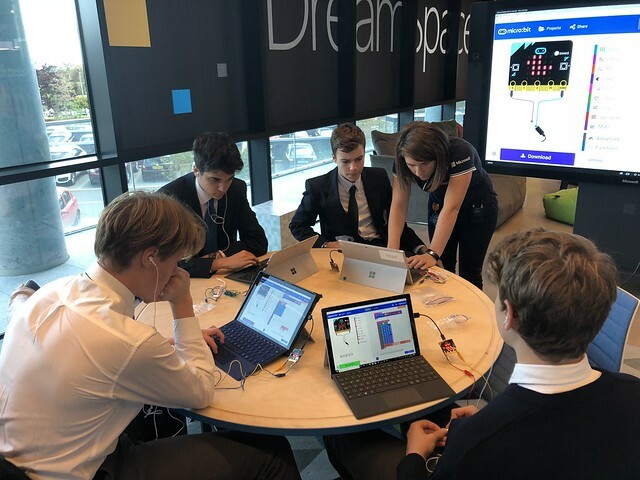 But then it was on to the main task – a brief introduction to coding via the Mirco:bit software and hardware. 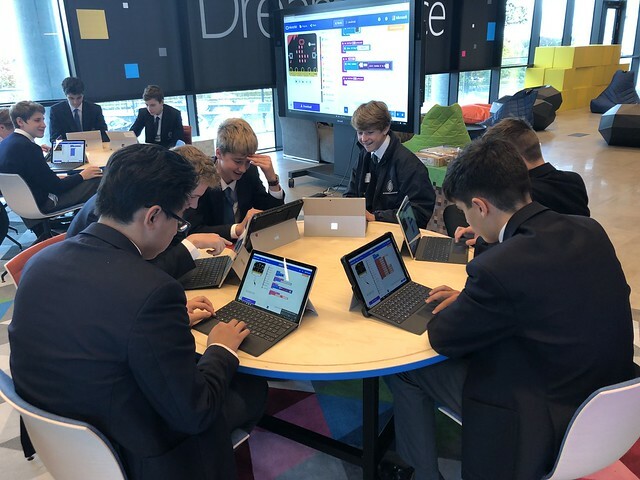 The pupils learned about the basics of coding before programming their own devices, using Microsoft surface tablets, to play a game of rock, paper, scissors. 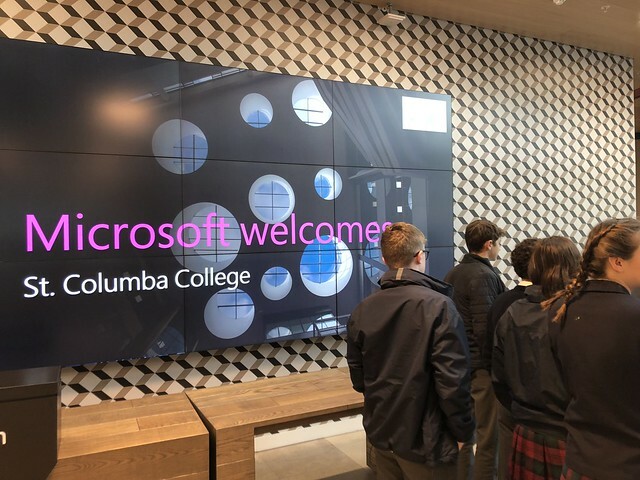 Later they learned how to send messages from one device to another. The pupils thoroughly enjoyed their experience and, no doubt, stoked their interest in STEM and coding (incidentally this week is European Code Week). 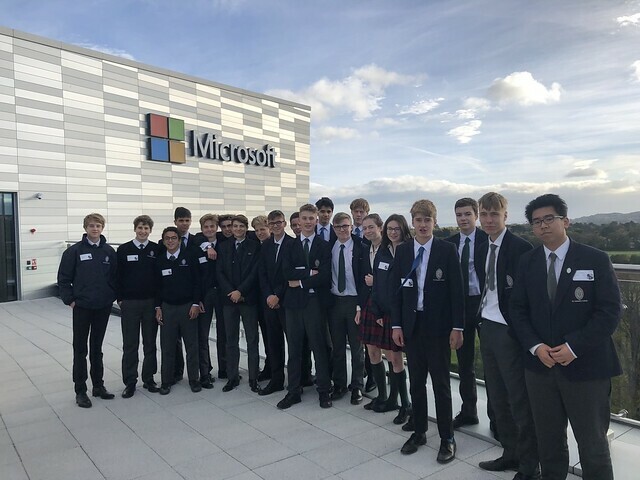 We would like to thank Microsoft and their Dreamspace team for a most enjoyable, wonderful learning experience.